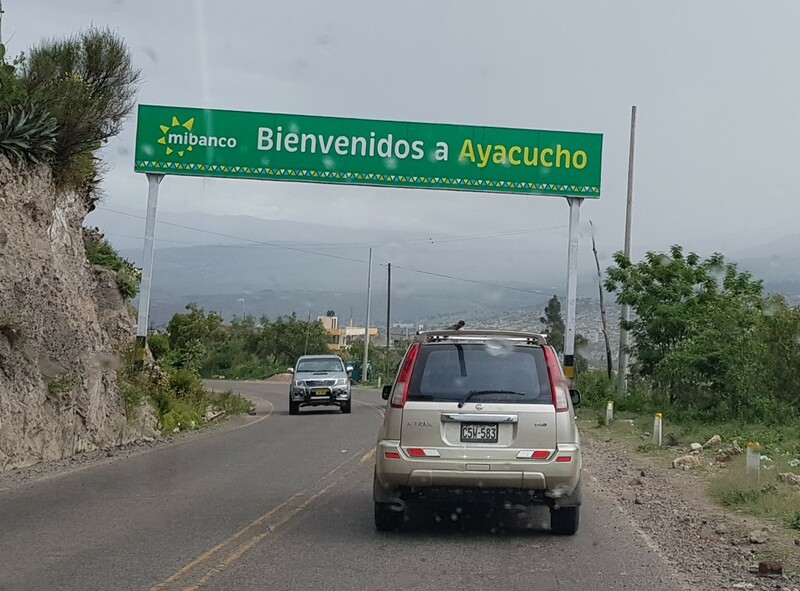 We have wanted to visit Ayacucho for a long time and finally left Lima headed south. It’s a very long drive and we decided to break our trip in Pisco. We couldn’t find any reasonable hotels. We tried Paracas where there are two categories of hotel, cement box and deluxe resort. 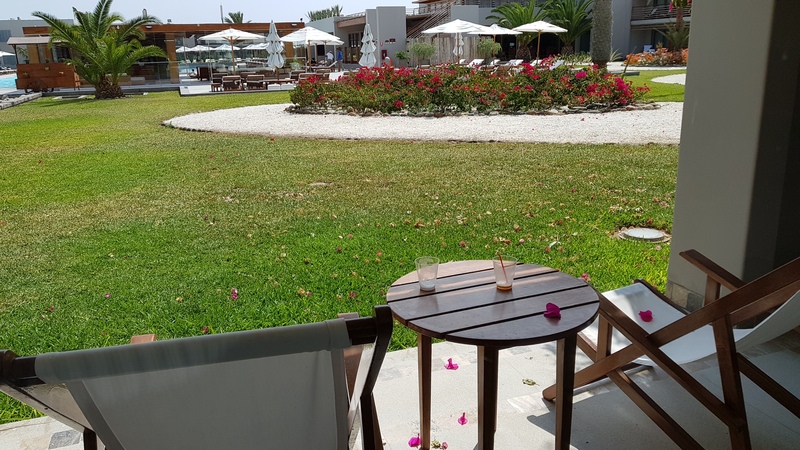 Taking advantage of the Doubletree Hilton Paracas resort was easy. I swam in the pool, sat in the hot tub, and we had our welcome pisco sours on the patio outside our room. Dinner in the restaurant was very good. 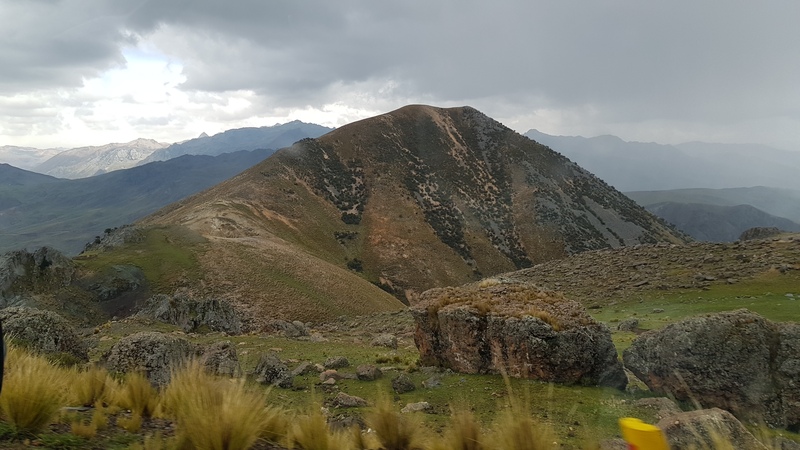 The next morning we headed back to Pisco and up into the Andes for the 5-6 hour drive to Ayacucho. Along the way it started to rain, something very unusual for us in Peru. I heard thunder and it took me a minute to figure out what it was. 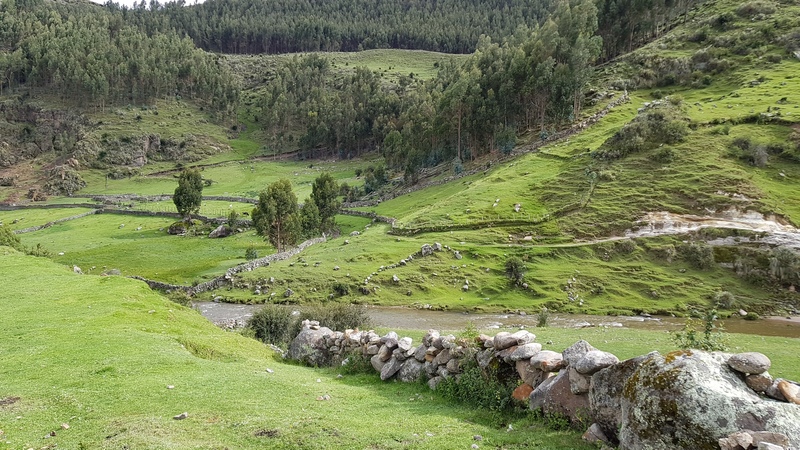 We stopped to take pictures at one point where Peru looks just like Ireland. Ayacucho was founded on a small level area in a steep-sided valley. To enter the city, we descended a road sandwiched between a cliff and the abyss. Our hotel is near the Plaza de Armas and the city was just winding up Carnival celebrations and all the streets were blocked off. Jonathan pulled over two blocks from the hotel and I walked over to explain the situation. A staff member came with me and showed us where to park, which we would never have found on our own. We immediately lay down to counteract the effects of altitude. Though its only about 9000 ft in Ayacucho, we crossed a pass at 15,400 ft earlier in the day. I took Diamox as recommended and so far don’t have either the headache or nausea associated with altitude sickness.